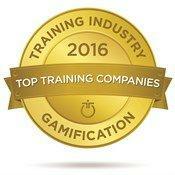 FRANKLIN, OH--(Marketwired - September 26, 2016) - Designing Digitally, Inc., a full-service, custom Serious Game and Gamified eLearning development corporation, has been awarded TrainingIndustry.com's 2016 Top Gamification Company again this year. This occasion marks the third consecutive year Designing Digitally, Inc. has been chosen for this prestigious company list. "Our third annual Top Gamification Companies List showcases the tremendous impact gaming is having on the corporate learning space," said Ken Taylor, president, Training Industry, Inc. "These companies are able to incorporate gamification strategies like adaptive learning, coaching and simulations to increase employee engagement and material retention." Andrew Hughes, President, Designing Digitally, Inc. states, "We are honored to have been chosen as one of the top vendors for Serious Games and Gamification in corporate learning. We work hard to ensure that fun is a metric we focus on when developing our custom eLearning and immersive learning experiences. We're proud of the outcome this has generated for our customers and their learners. We are excited about the future of gamification and will continue to utilize the metric of fun to turn dull content into engagement and retention for our corporate and government clients." Designing Digitally, Inc. is an award winning custom Serious Game, eLearning, and Gamification development firm focused on being a catalyst for corporate behavior change. Designing Digitally, Inc. has developed a number of serious games and simulations, gamified E-Learning solutions for large corporations and government agencies around the world.